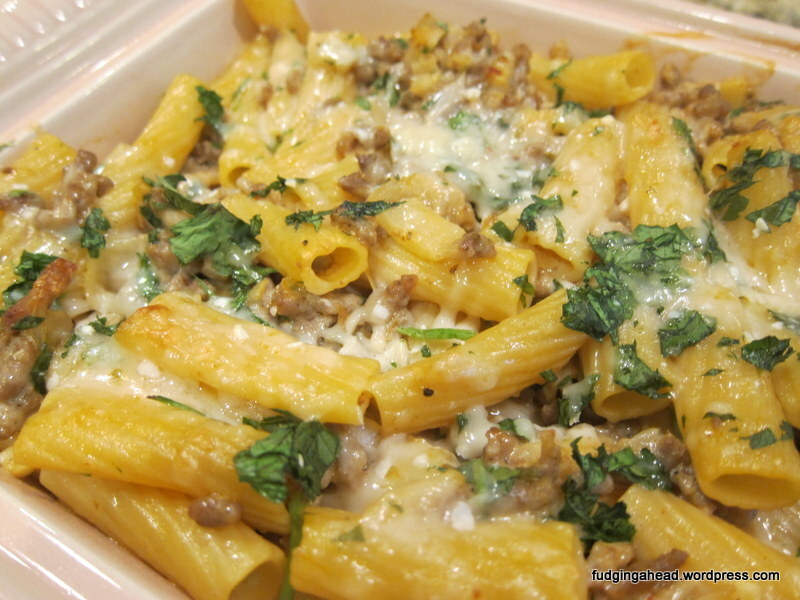 I am a bit hesitant about posting this recipe since most of the pictures don’t properly reflect the changes I made. 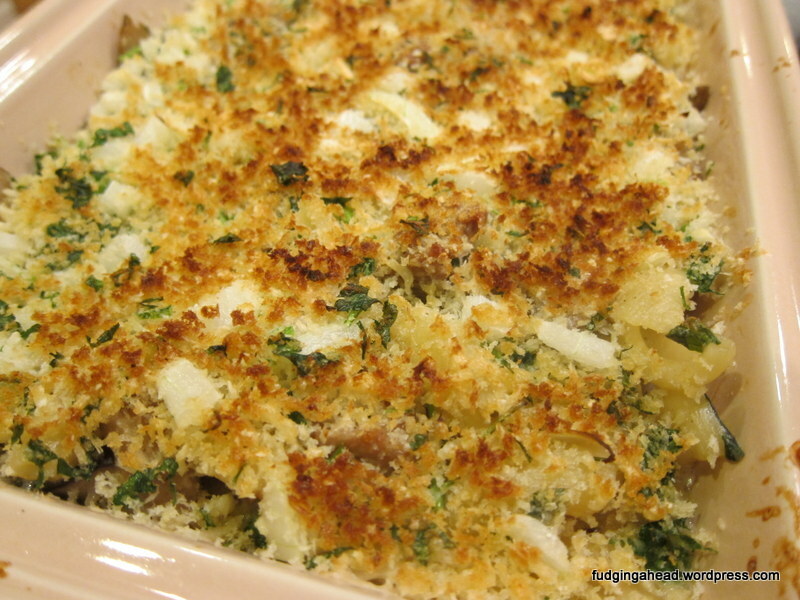 There was a Food and Wine recipe I adapted, and I am adapting it again for this post. Basically, K and I weren’t big fans of certain ingredients/steps. I could be a good food blogger and make it again for new pictures, but we have a bunch of leftovers to get through and that feels wasteful. (Sorry.) So instead, use your imagination a bit with my pictures, but follow the steps I wrote. 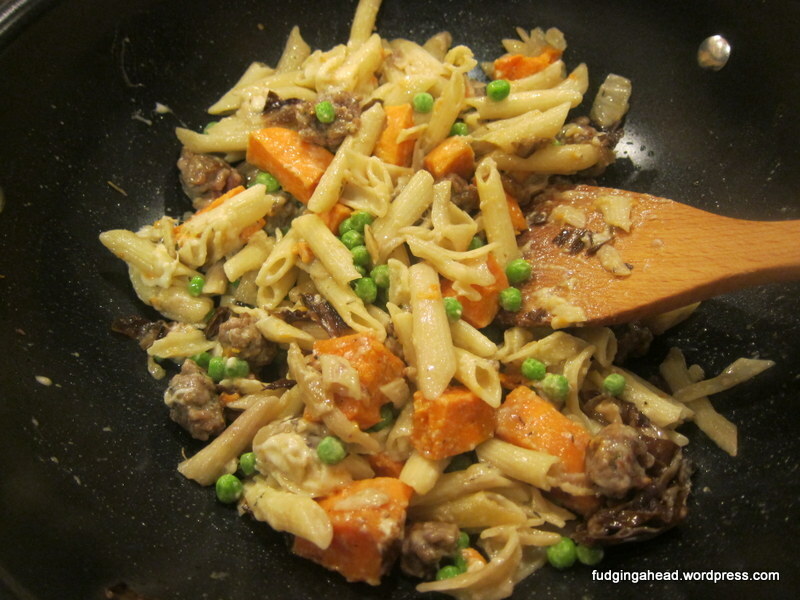 Really, it is more about omitting the radicchio I used, cutting the pasta amount in half, and adding in some peas. 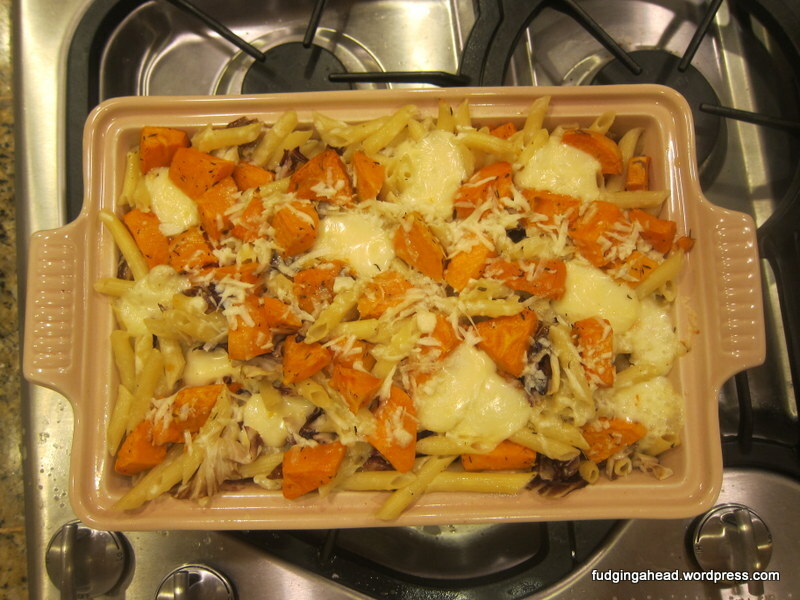 We loved the sweet potatoes in this (K kept commenting on them) and definitely want to keep them in mind for future cheesy pasta recipes. I did manage to take some pictures when we ate leftovers. I added peas and sausage and it tasted really good.